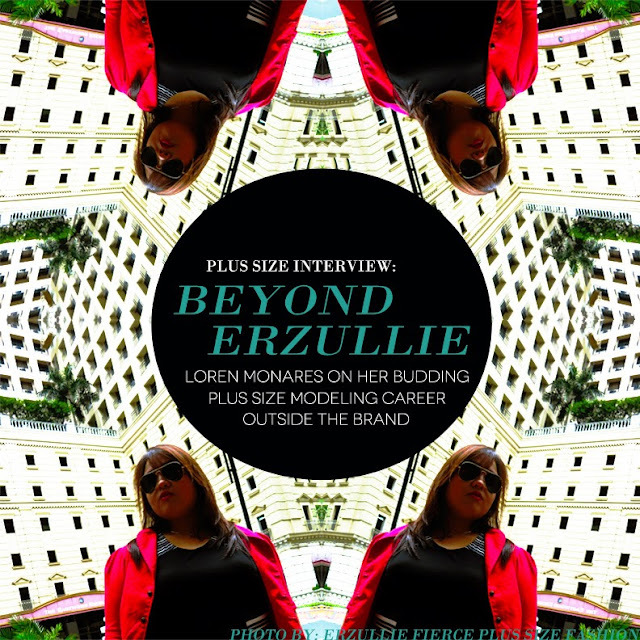 PLUS SIZE MODEL: "BEYOND ERZULLIE: LOREN MONARES ON HER CAREER BEYOND THE BRAND." 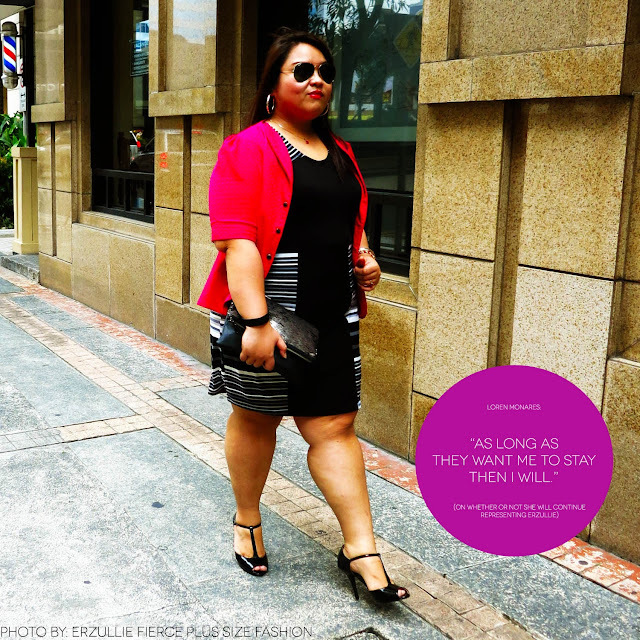 Loren Monares is one of the Philippines’ most active plus size model. From photo shoots to television features, her career is undeniably growing. And now that she is on the screening process for a talent agency --- is it her time to go beyond the brand where her career began? 1. 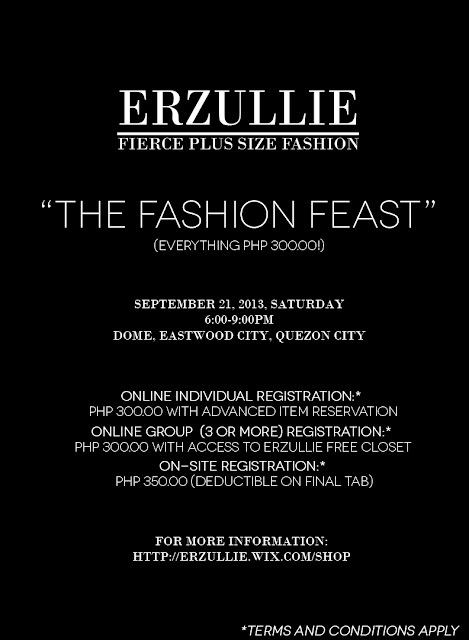 After the Erzullie Pre-Holiday 2013 shoot, what’s the story? 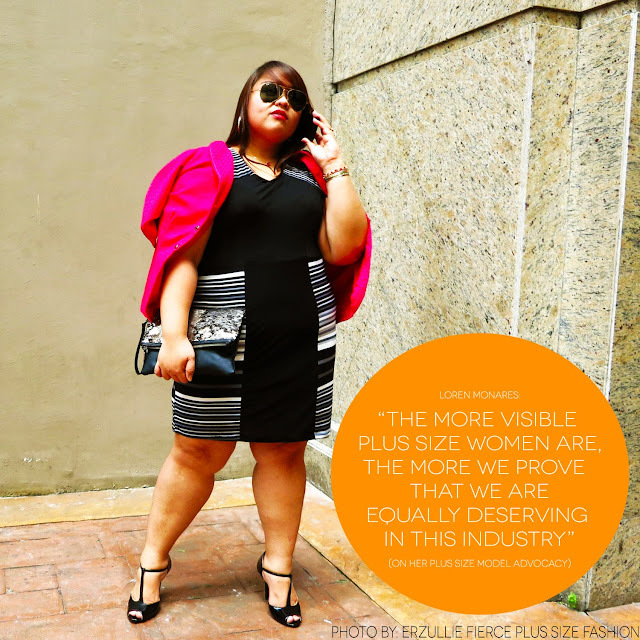 I did a runway show for another plus size fashion brand in SM North and currently being screened for One Avenue Management, which I learned through a friend. I feel excited about it. I want to try out other projects (dancing, acting etc.) and, of course, get more modeling projects for my advocacy. The more visible plus size women are, the more we prove that we are equally deserving in this industry. I also have created a social page because of a good friend’s suggestion. I think that it’s a more organized and easier way for me to reach out to the plus size community through sharing my journey as a plus size model and advocate. 2. Sounds like this new direction will take a lot of your time. What about your role with Erzullie? Is it time to go beyond the brand? Perhaps the better description would be expanding my scope as a model. I owe so much to Erzullie. My modeling career started there and the rest of the opportunities came to me because of it. I learned almost everything about professional modeling from my Erzullie family, who has been supportive of me in my modeling career. As long as they would like me to stay, then I will. 3. 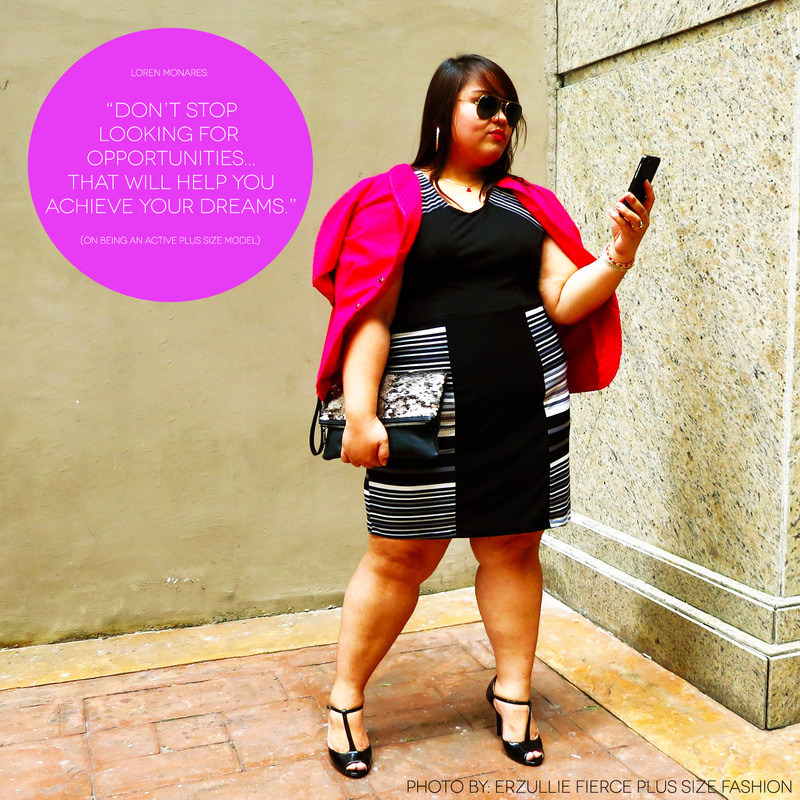 Being one of the most active plus size models in the Philippines, what is your advice for the ones that wants to do the same? Just enjoy what you are doing! Continue to practice and rediscover yourself. That’s how you will keep them wanting for more. 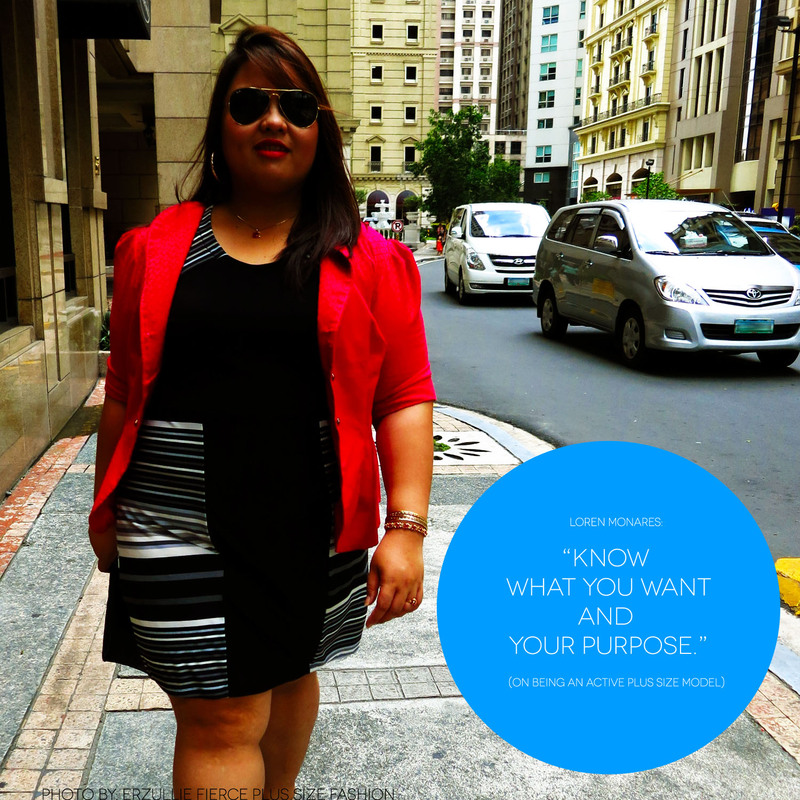 The key is you should also know what you want and your purpose. After which, don’t stop looking for opportunities out there that will help you achieve your dreams!